As Christmas approaches, it means a return of classic holiday cartoons. 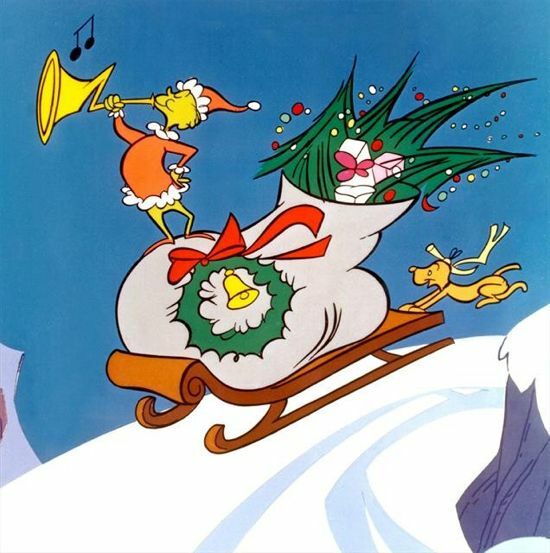 The 1966 animated "Dr. Seuss' How the Grinch Stole Christmas" airs Tuesday, November 27 starting at 8 PM ET on ABC. Based on the classic children's book by the legendary Dr. Seuss, "Dr. Seuss' How the Grinch Stole Christmas" takes viewers inside a snowflake to Whoville, the magical land of the Whos. But high above this holiday-loving town resides the Grinch, a hateful creature with a heart three sizes too small, who despises Christmas and plots to steal it from the Whos. The voice cast includes Boris Karloff as The Grinch/Narrator and June Foray as Cindy Lou Who. The animated short was directed by Chuck Jones and was written by Dr. Seuss, with additional story by Bob Ogle and Irv Spector.